‘The Other Lamb’, ‘The Homeless World Cup’ and ‘Pure Grit’ among recipients of production funding in Screen Ireland’s third quarter 2018. ‘Vivarium’ receives €50,000 additional funding with Fantastic Films for Lorcan Finnegan & Garret Shanley feature. ‘Wildfire’ Cathy Brady’s feature film currently shooting in Ireland, receives €85,000 in additional production funding; ‘Wildfire’ is produced by David Collins, Carlo Cresto-Dina and Charles Steel for Samson Films. ‘Wildfire’ previously received €550,000 + €100,000 (Female Funding) in Q1 of 2018, while ‘Vivarium’ was allocated €750,000 in Q2 2017. In the documentary section, Kim Bartley’s ‘Pure Grit’ with Underground Films has received €100,000 plus €25,000 female funding, Bandit Films’ ‘Prisoners of the Moon’, which is written by Johnny Gogan & Nick Snow and directed by Johnny Gogan was awarded €100,000. Below the Radar Films Ltd’s ‘The Sheriff’, which is written by Claire Burgoyne and directed by Grace Sweeney received €75,000 plus €25,000 female funding. Colm Bairéad’s ‘Avenger: Ghaoth Dobhair’ received €82,500 with ROSG, and Gambit Pictures’s ‘Castro’s Spies’ received €100,000. A number of other projects also received provisional offers of commitment from Screen Ireland including ‘Breaking Out’ (Silver Moonbeam Film Production Limited) & ‘Owned’ (Element Pictures). 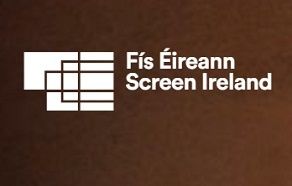 Production funding for Screen Ireland’s successful ‘POV: Production & Training Scheme for Female Talent’ candidates has also been included with Kate Dolan’s ‘You Are Not My Mother’ (Fantastic Films: €13,000), Jeda De Brí’s ‘Tryst’ (Treasure Entertainment Ltd: €13,000), Claire Dix & Aibhe Keogan’s ‘Sunlight’ (Blinder Films: €15,000), Niamh Heery’s ‘Down By Your Side’ (Swansong Films: €13,000), Antonia Campbell-Hughes’s ‘It Is In Us All’ (Savage Productions: €13,000), and Lisa Mulcahy & Elisabeth Gooch’s ‘Knowl’ (Blue Ink Films: €15,000). Key development awards include Emma Donaghue joining forces with Element Pictures once again to develop her 2016 famine-set novel ‘The Wonder’, which has received €50,000, Marcie Films has been awarded €40,000 for Grant Lee’s ‘Intermission’ which was written by Mark O’Halloran. Following on from the success of their debut feature film ‘A Date for Mad Mary’, brothers Darren & Colin Thornton have received €34,450 for ‘Here Comes the Night’ with Element Pictures, Mamoth Films and Stephen Burke receives €30,400 for ‘The Bank’, Treasure Entertainment’s ‘Drift’, which is written by Senta Rich and directed by Kieron J Walsh receives €22,000, while ‘Vivarium’ combo Lorcan Finnegan & Garret Shanley have received €25,800 for ‘Nocebo’ with Lovely Productions. Four International Television Dramas have also received development awards with Subotica’s ‘The O’Neill’ receiving €24,500, An Pointe Productions’ ‘Ethernal City’ receiving €30,700 and Shin Awil Productions’ ‘Kill’ receiving €21,750.